Hodge and Podge Are Going to New York City! Hodge and Podge and I are very excited about our trip to the Big Apple this weekend. None of us has ever been. 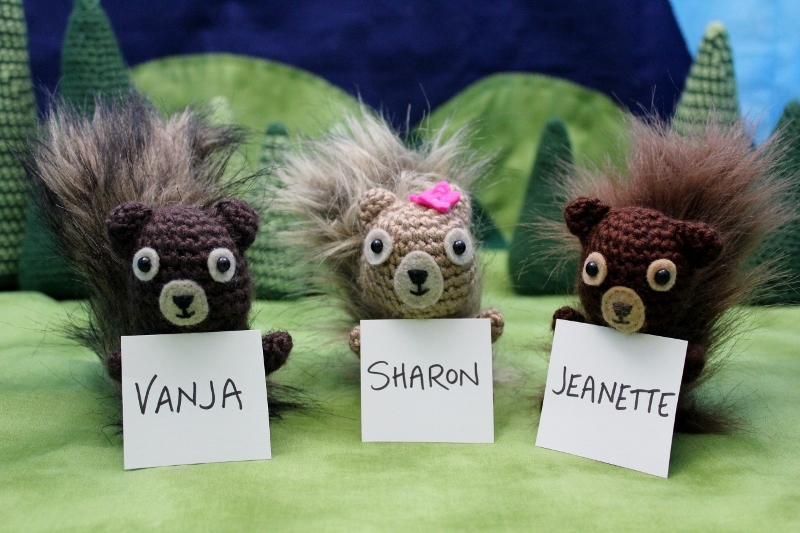 We’ll just be three little wide-eyed squirrels in the big city. Luckily I have some very nice friends who will be looking out for us. We’re going to visit the Vogue Knitting Live marketplace at the Marriott Marquis near Times Square, the garment district (can’t wait to step foot in Mood! ), Chinatown, High Line, Battery Park, and the World Trace Center Memorial Plaza to name a few. We can’t wait to get there and hug our friends and explore the city! But first we better pack. 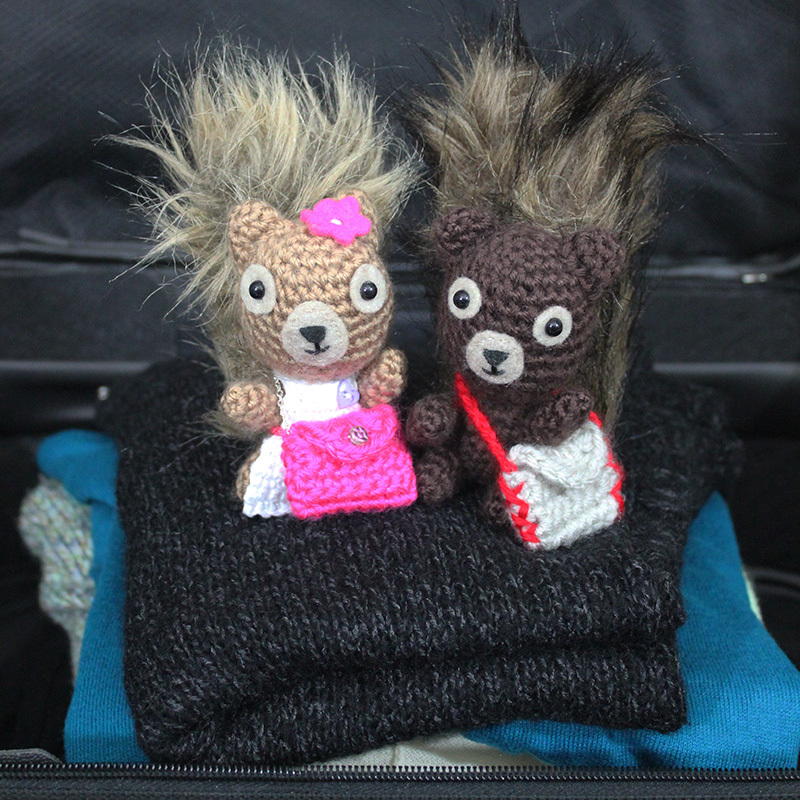 Hodge and Podge have packed their bags for their big trip to New York City. What are you bringing, Podge? 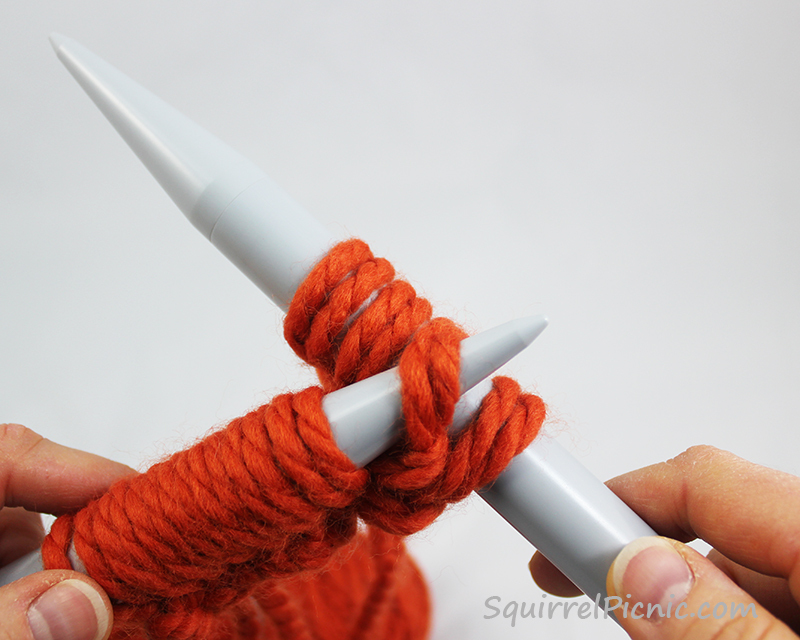 “I’m bringing a book on how to knit. 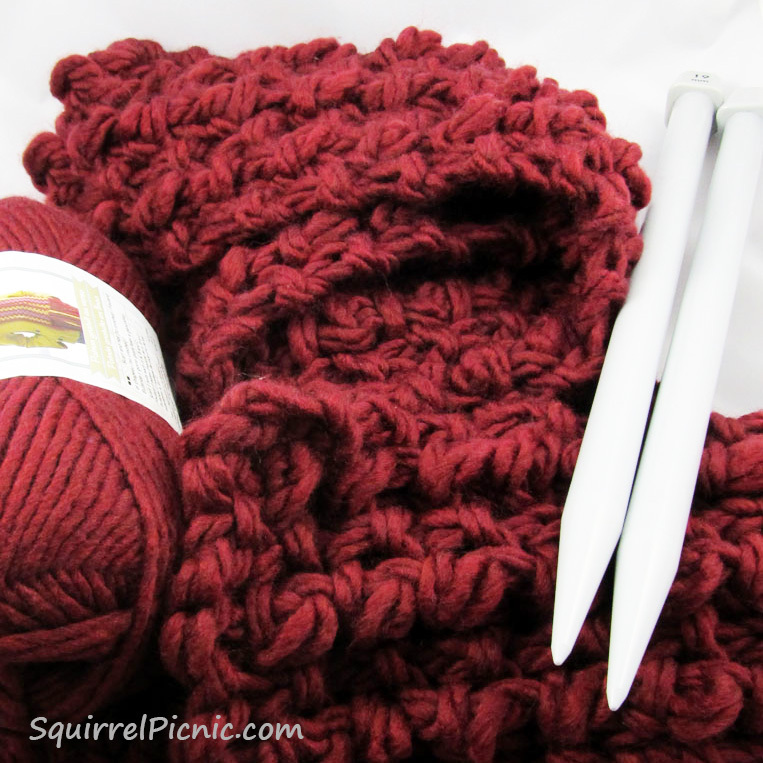 I can’t wait to check out all the goodies at the Vogue Knitting event. And Hodge what are you bringing? Huh, I see. Well, I guess we’re just about set then. New York City, here we come! 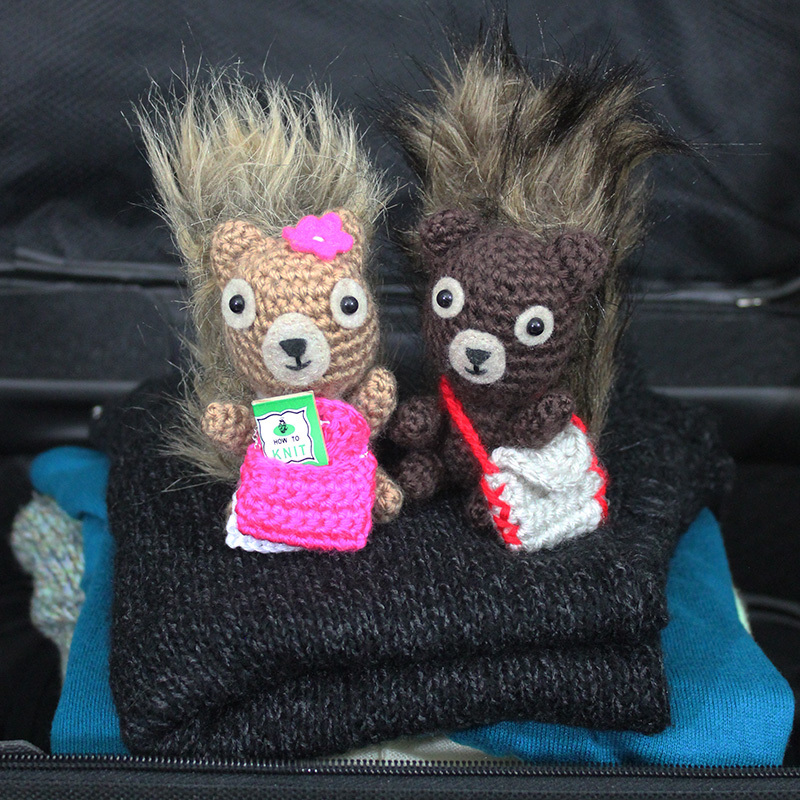 Categories: Friends, Hodge & Podge | Tags: friends, Hodge & Podge, knitting, travel, Vogue Knitting Live | Permalink. It’s so cool to see projects from people all over the world. Thank you all for choosing my patterns and for taking the time to share your finished projects with me. I’d like to extend a special thanks to these awesome folks, whose projects are featured below: Virginie Homemade, Marta of Hama Style & Amigurumi, Flo, Astrid Der Kinderen, Amanda Thorpe, Jenny McCoy, Sarah Fuller, Beth Turner, Elsa, Theresa Pearson, Anne Hanson, Heike Röhser, xxcatalopexx, regenbogengarne, Linh Do Khanh, Marina Walker, KleinDari, Louna, alovelygorilla, CowSaysMoo, and curlyfro. 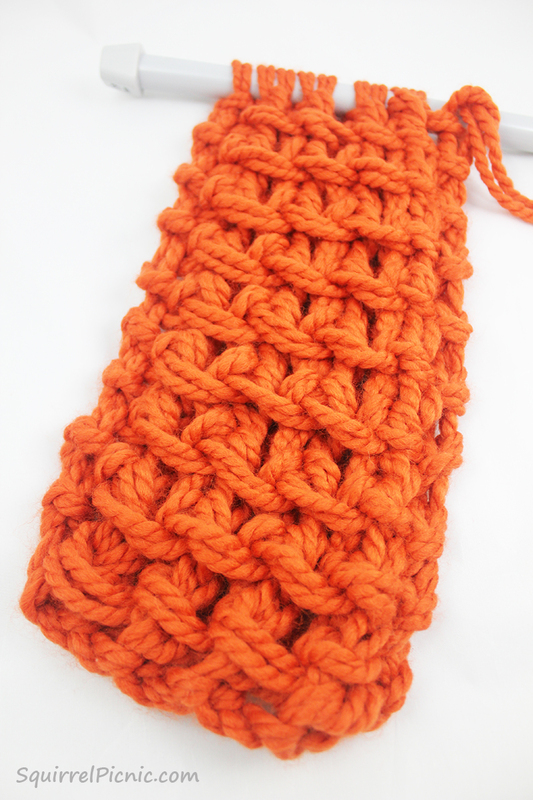 Categories: Friends | Tags: crochet, knitting | Permalink. 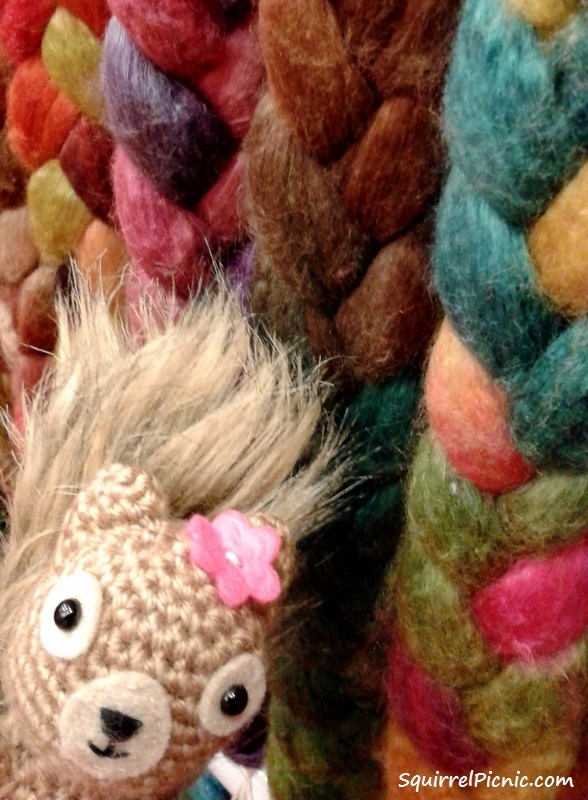 Podge says, “I’ve never made anything with roving wool. At least not yet. 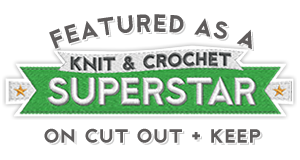 Categories: Hodge & Podge | Tags: crochet, felting, fiber, knitting, roving wool, spinning | Permalink. 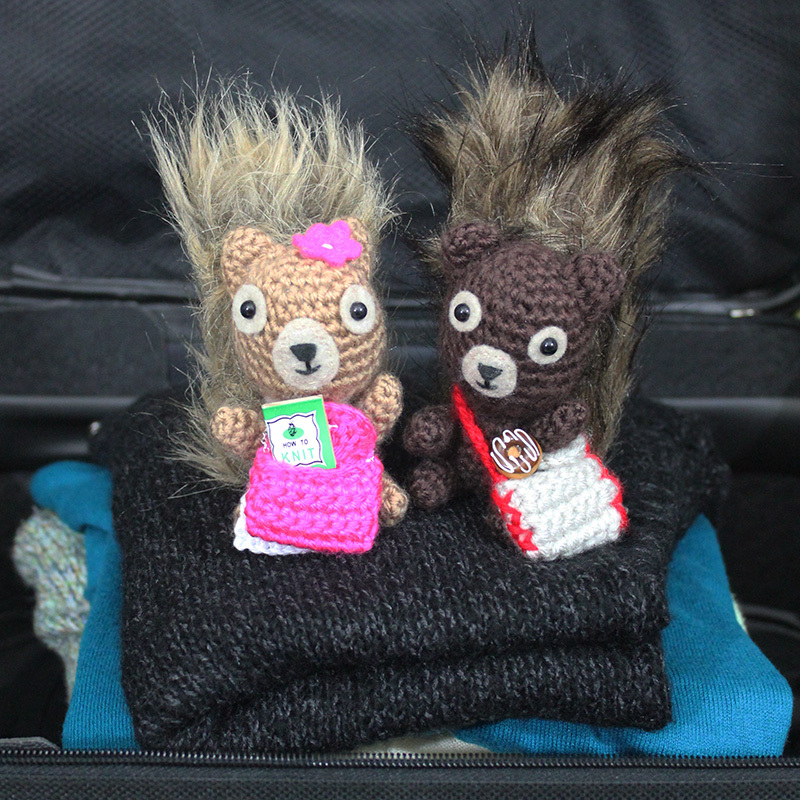 SQUIRREL PICNIC (the comic): What’s in Your Bag? 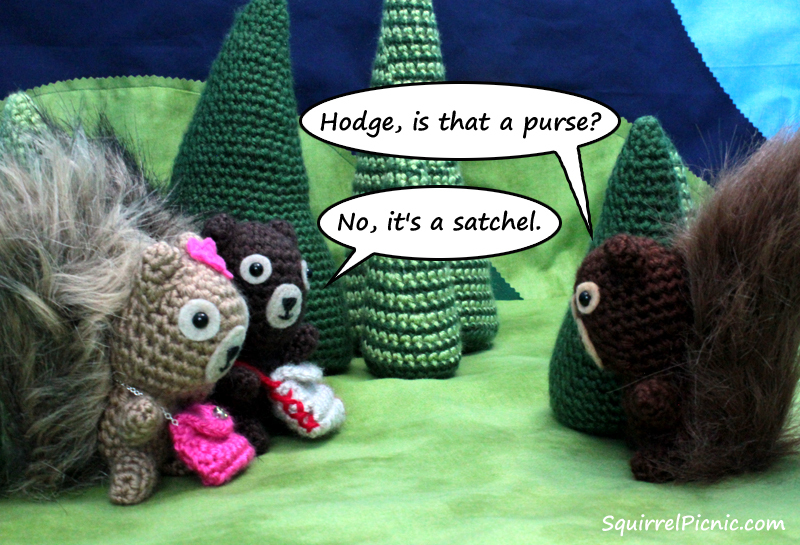 Categories: Hodge & Podge, SQUIRREL PICNIC (the comic) | Tags: crafts, crochet, hipster, knitting, man purse, purse, satchel, squirrels, tote | Permalink.